. 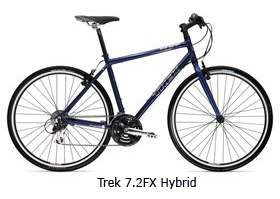 A cross between a mountain bike and a road bike, hybrids offer a familiar upright position and are recommended for the most comfortable ride. All bikes are fitted with a tour bag, water bottle, rear rack and computer. Bikes come with standard pedals; however, riders can bring their own clipless pedals which we will be happy to attach. Coastal Biking Adventures recommends bringing your own helmets; however, they are available at no additional cost. We also welcome riders who choose to bring their own bikes. We will accept shipments up to two weeks prior and guests are responsible for all shipping costs and insurance. and owner Matt Bodziony. NBX, located in the heart of southern new England, is the provider of bicycles and equipment for Coastal Biking Adventure tours. They bring their love of cycling and 20 years of experience in making sure all CBA guests are properly fitted and comfortable with their bikes. 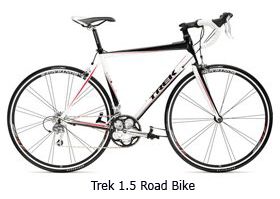 Please contact us with any questions regarding bikes or gear.